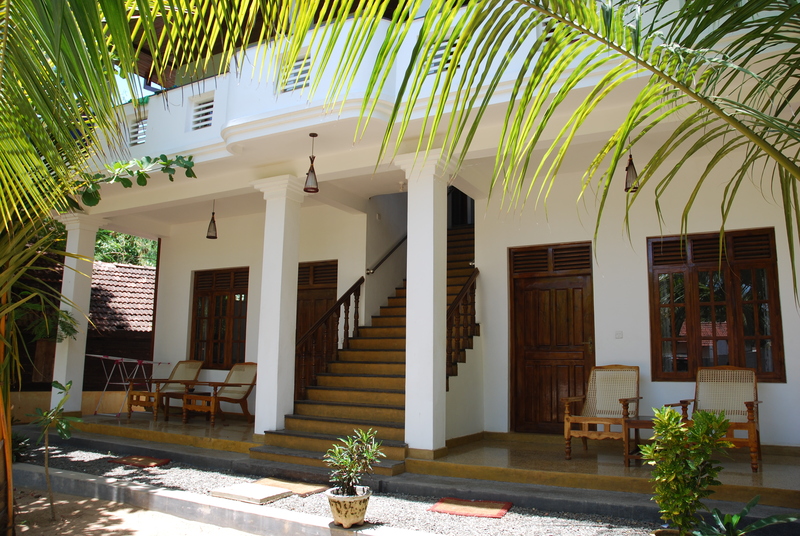 We have 16 spacious rooms and cabanas set around a shady garden. 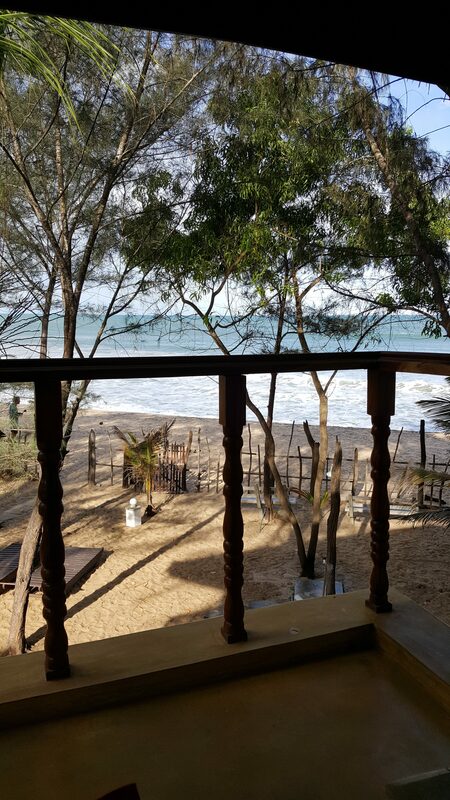 The sea view cabanas have uninterrupted views of the beach. The luxury rooms, standard cabanas and budget cabanas are set further back but views of the sea can still be seen through the trees and the open plan restaurant. The cabanas are comprised from polished concrete floors, wooden elevated balconies, private outdoor bathrooms and breezy windows within wooden walls. Rooms are supplied with fans, backup power, double / single beds, linen, towels and basic toiletries. The showers feed from the huge freshwater aquifer providing cool and refreshing power showers for those hot tropical days in the privacy of your own outside wet room. Our new air conditioned rooms have been hugely popular with our guests as they provide a luxurious experience in which to relax into beach life. These rooms were completed in June 2016. There are 2 upstairs with a shared balcony and 2 downstairs. They are spacious and comfortable with a luxury king size bed and single bed. An extra single mattress can be added for groups of 4. 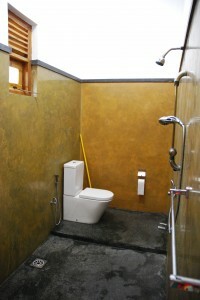 All the rooms have en-suite bathrooms. 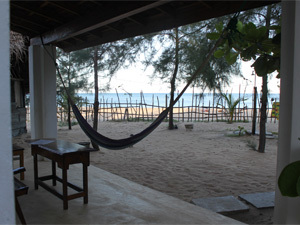 Although these rooms are not sea view, there are glimpses of the sea from the verandas which is situated about 50m away. They are suitable for guests who prefer to keep the wildlife outside the room! This cabana has the best views of the sea and the main surf point. 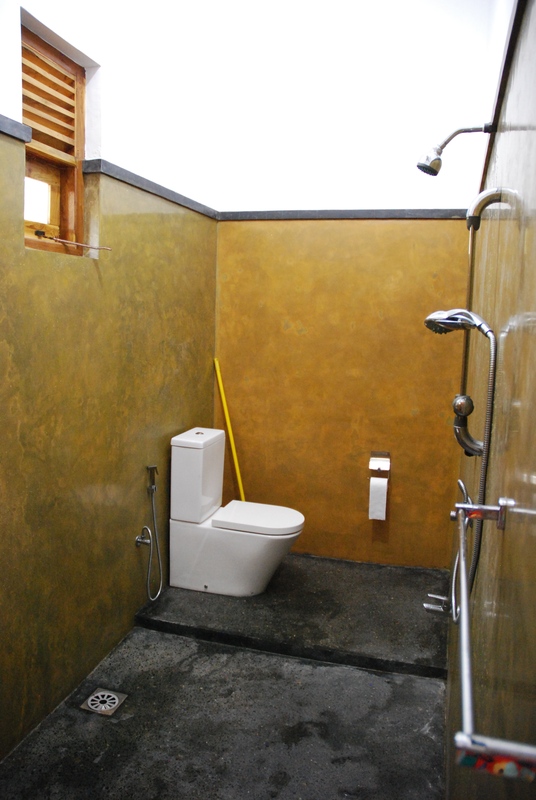 It is air conditioned with an inside tiled bathroom. 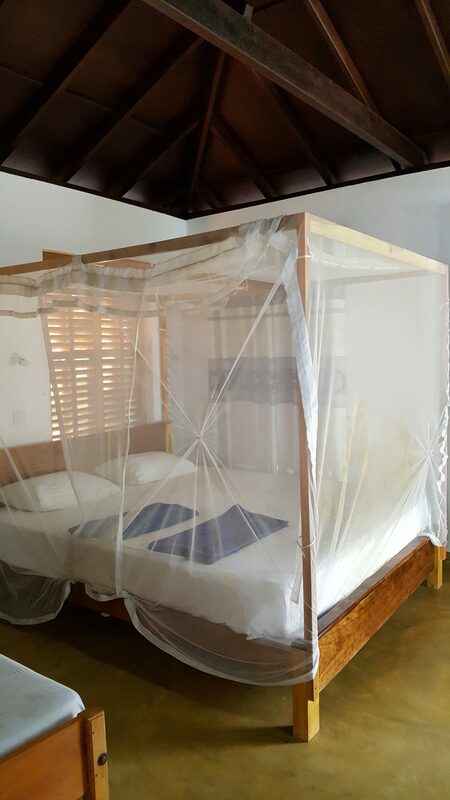 This cabana would suit guests who prefer not to share their accommodation with the local wildlife! 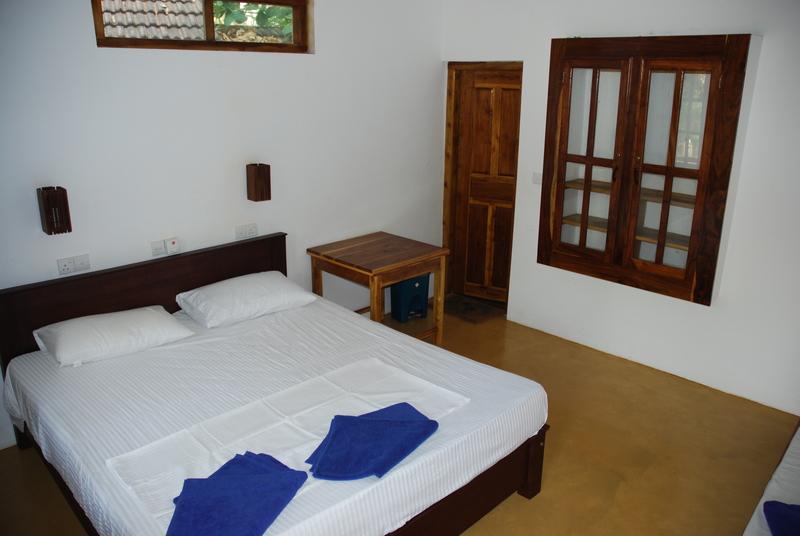 There is an over-sized 7ft double bed for maximum comfort, a single bed, mosquito nets and ceiling fan. These beautiful non ac sea view rooms were built in 2017. They have slatted windows to let the sea breeze flow through to cool them down. The view is beyond comparison. 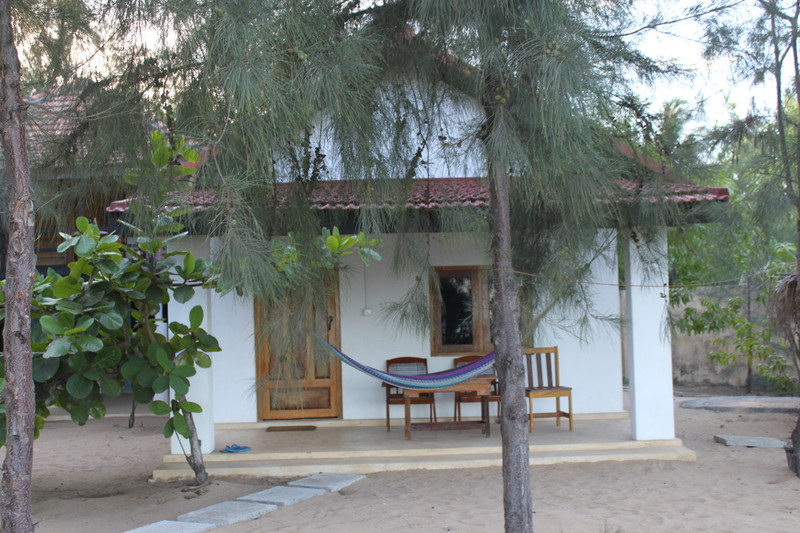 The upstairs room has an open air bathroom and both bathrooms have views of the sea. 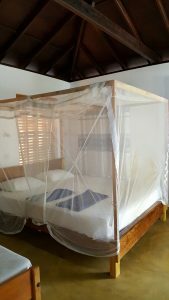 There is a large 6ft by 7ft double bed with a mosquito net and a luxury mattress. There is also a single bed and an extra mattress can be added on the floor if necessary. The verandas are a perfect place to wind down after a day on the beach. This cabana is up on stilts with a trapdoor leading downstairs to the outside private bathroom. It is designed to maximise views and fresh sea breezes. 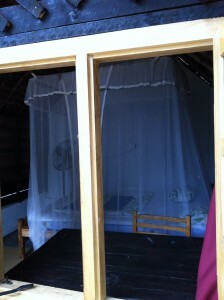 There is a 7ft double bed with mosquito net and fan. The cabana is made of wood with a tiled roof. You may get the odd visitor – mainly frogs in the bathroom, squirrels hopping across the beams, or sometimes the occasional monkey! The standard cabanas are eco-designed and factor in the elements such as shade and predominant winds therefore do not require air conditioning. They have slats at either end of the roof which keep the room cool and let in the beautiful east coast sunshine. The cabanas are made from wood and cadjan (woven palm fronds). They have private outdoor bathrooms for moonlight bathing. 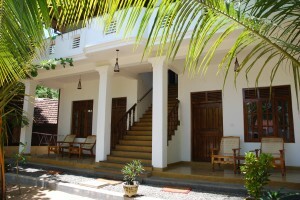 The room and bathroom are both on the ground floor and there are verandas both upstairs and down. In each standard cabana there is 1 7ft double bed and 1 single bed. There are 3 options for beds in the family cabanas subject to availability; 1 king size bed and 1 double, 1 king size bed and 2 single beds or 5 single beds. All come with mosquito nets and stand fans. These cabanas are about 60m from the beach. They are made of wood with a cadjan (woven palm fronds) roof. 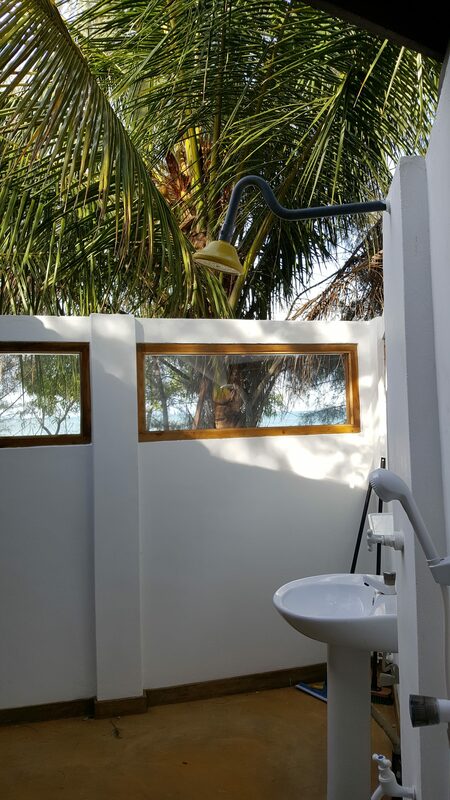 The outdoor bathrooms have a separate entrance to the cabanas. 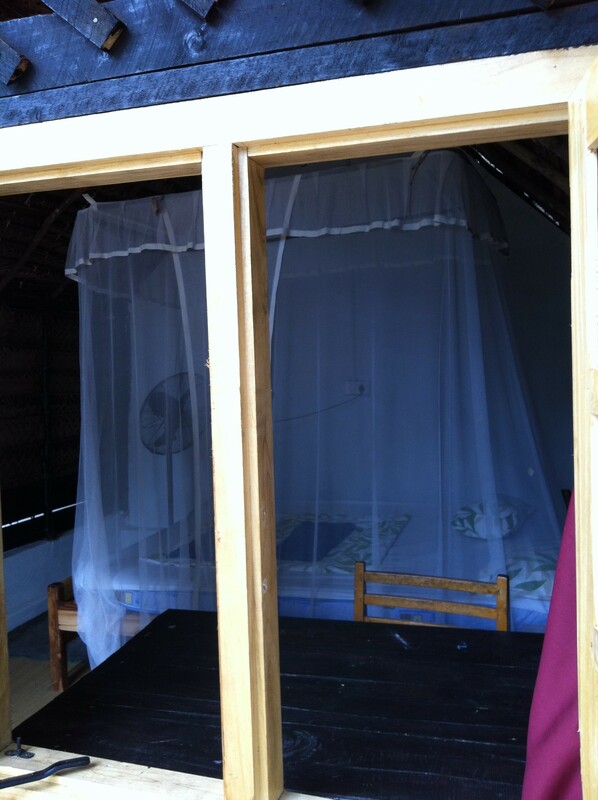 These cabanas also have 7ft double beds, mosquito nets and fans.